Northern California Medical Associates Cardiovascular Services explores national trends in cardiovascular disease and shares insight into heart healthy living for February's focus on heart health. With heart disease being the leading cause of death for both of men and women, it’s important to take steps to improve heart health. 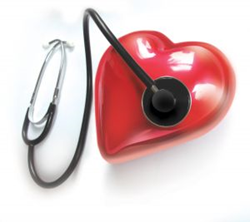 There is a lot going on in February pertaining to heart health. It’s American Heart Month and the Centers for Disease Control and Prevention (CDC) and the Centers for Medicare & Medicaid Services are co-leading an initiative on behalf of the U.S. Department of Health and Human Service s to educate people all across the U.S. about heart disease and prevention. The American Heart Association is championing the annual awareness campaign aimed at educating women on heart health called Go Red for Women. NCMA Cardiovascular Services is also taking this opportunity to share some news about heart disease and stroke and to offer some tips on how to have a healthy heart. According to the American Heart Association more than 5 million people in the United States suffer from heart failure, less than 50 percent of those with heart failure live a full five years following diagnosis. The deadly duo of heart disease and stroke are among the most prevalent and costly health complications dealt with by doctors today. Heart disease or stroke wreak havoc on people’s lives measured in increased medical bills, lost wages and decreased quality of living. The top five ways to hedge your bets against heart disease include; managing high blood pressure (talk to your doctor), take up a daily routine of physical activity (at least 20 minutes per day), make an effort to eat whole foods (ditch processed alternatives), avoid excess salt and quit smoking. About 67 million people have high blood pressure according to the CDC. High blood pressure is a serious issue when it comes to heart heath. It makes the heart work excessively, increasing the risk of heart disease and stroke. Blood pressure is the force of blood on the walls of the body’s blood vessels as blood flows through them. This pressure naturally fluctuates during the day, but when it is consistently too high, it is considered high blood pressure or hypertension. The best way to find out what your blood pressure is and to weigh current risk factors, is to talk to a cardiologist. Exercise is essential not only for maintaining a healthy weight but for keeping the heart healthy. According to the American Heart Association’s latest exercise standards, exercise can be viewed as a preventative medical treatment and should be pursued on a daily basis – or as close to a daily basis as possible. For maximum cardiovascular health the AHA suggests 30 minutes of aerobic activity at least five days per week combined with some type of muscle-strengthening activity twice per week. Adopting a heart healthy diet can reduce the risk of heart disease or stroke by as much as 80 percent. The most often recommended steps towards improving the diet is to eat more fresh, unprocessed fruits and veggies, choose whole grains over refined grain products, and limit unhealthy fats. Reducing salt consumed in food is another important aspect of the heart-healthy diet. Salt can contribute to high blood pressure, a major risk factor for cardiovascular disease. Cigarette smoking greatly increases a person’s risk for heart disease. Risk factors rise as the cells that line the body's blood vessels react to the poisons in tobacco smoke, almost immediately causing the heart rate and blood pressure rise. Over time blood vessels grow narrower, and chemical changes caused by tobacco smoke also increases the likelihood that blood will clot. When this happens clots (called plaque) can form and block the necessary blood flow to the heart. When arteries are blocked enough then sudden death can become an issue. With heart disease being the leading cause of death for both of men and women, claiming more lives than all forms of cancer combined it’s important to take steps to improve heart health. Knowledge is power, and with just a little effort it is possible to protect against heart disease. In addition to exercise, maintaining a healthy diet, controlling blood pressure, maintaining a healthy weight, making lifestyle choices to improve cardiovascular health will also improve quality of life, and lower the risk for heart disease.